Hey! Btw, I'm attempting to draw us all so I can put it on top :3 ..
nao.. i haz finished meh drawing hoho. How do you like the new icons. OMIGEH They are osm! kthx! NAO NAO, we doo .. ermm, advertise this to our fellow membership! Hai everyone! 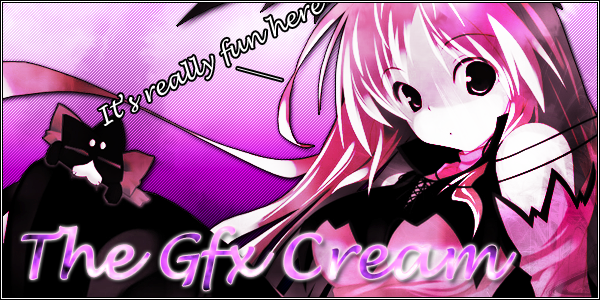 I'm on my way to post teh topic-ness of our GFX Cream.